SALES | Block B. Suite 345/333, Sura Complex, Simpson Street, Lagos Island, Lagos State. 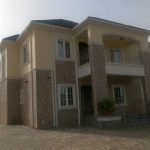 A tastefully finished 4-bedroom duplex with 3-bedroom bungalow, a security house and generator house, located at Asokoro close to Abacha barracks Abuja, with certificate of occupancy, is vacant for outright sale. Walls are finished in combination of Marble and screed. The external walls are finshed in Stone Veneer Wall tiles and screed The Floors are of Marble and Vitrified tiles. 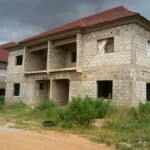 Prime property for sale in Kaura District, Abuja. 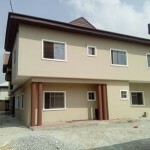 Well Furnished Property consists of 2 nos. 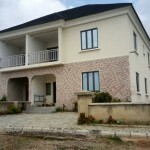 6-bedroom Terrace Duplex comprising of 4 sitting rooms, another 2 nos. 5-bedroom Terrace Duplex comprising of 3 sitting rooms and a furnished boys quarter for each duplex on a land measuring 2,30sqm all fenced. Facilities available include; furnished gym with modern equipment, furnished kitchen with freezer, microwave, oven, 17kg washing machine with dryer. 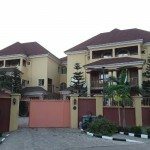 Landscaped and fenced recreation/party area, furnished garden, swimming pool, video and audio intercom among others. Note that the crescent will be named after the buyer. Title document is C of O. An ongoing new Estate comprising of 50 units of 4-bedroom semi-detached house for sale along Airport Road, opposite NUT Homes, Sabon Lugbe East, Abuja @ N50million each. There’s an option of Installmental payment. 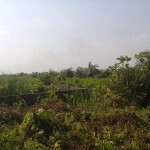 We have 2 plots of land for outright sale in the serene Peace estate at imagbon, ita oluwo in ikorodu Lagos state. The area is well developed. There are good access roads within the vicinity. 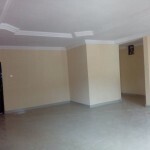 Newly constructed 3-bedroom flat in a block of 6 flats all rooms ensuite with fitted kichen, a room ensuite BQ and a Utility room serviced with Lift located on Mabogunje Road off Palace Road, Oniru Lagos. 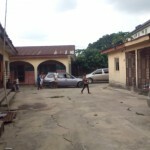 The property is close to Ikeja LGA Secretariat. Property consisting of 3 nos. bungalow having 2 nos. 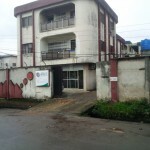 2-bedroom flats each on 1000sqm land with Deed of conveyance located behind Base Hotel along NTA/Mgbuoba Road by Shepherd Hill Parish, Rumuokota, Port Harcourt, Rivers State @ #28million.